A church in Douglas County, Colorado has chosen Rev. Malcolm Himschoot, who is transgender, as its first full-time pastor. According to the Denver Post, Parker United Church of Christ identifies itself as Open and Affirming, which is "the designation for congregations, campus ministries, and other bodies in the United Church of Christ which make public statements of welcome into their full life and ministry to persons of all sexual orientations, gender identities, and gender expressions." The church's motto is, "We welcome everyone who welcomes everyone else." Deacon Karen Kepner says of Rev. Himschoot, "We didn't pick him specifically because he's transgendered." However, Himschoot — who rebounded from a period of fear and suicidal thoughts to enroll in seminary and transition to male — says of his new congregation, "What I have catalyzes them, and what they have catalyzes what I'm capable of. They're really proud when people in their midst achieve wholeness." Many Christian denominations have had a fraught relationship with trans ministers. 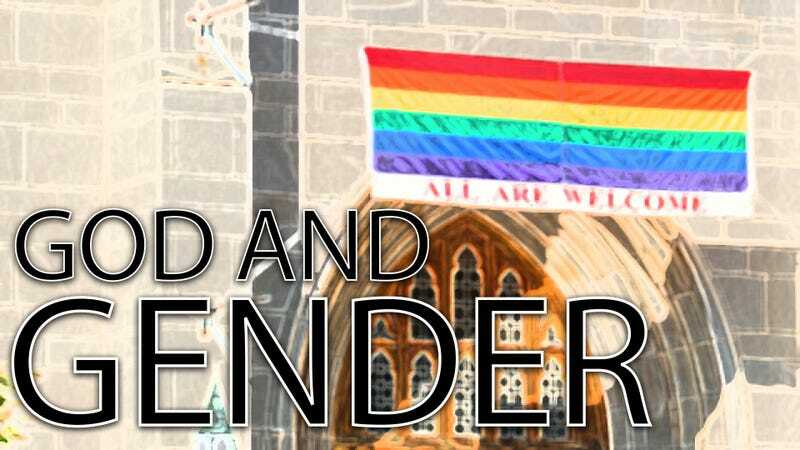 In 1990, two Lutheran churches were expelled for ordaining LGBT people — but in 2010, The Advocate reported that the denomination had officially reinstated seven gay and transgender pastors. And though the United Methodist Church voted in 2007 to allow Rev. Drew Phoenix to remain a pastor after his gender transition, the UMC still doesn't allow gay people to be ordained. So Himschoot's new role is pathbreaking not just for Parker Church and Douglas County, but for Christianity in America. Said Parker Church founder Pam Thompson of Himschoot's ordination, "On this day we celebrate God doing a new thing. So let us come together in boldness and genuine humility." Amen.